Miniature XLIX, Oil on cast resin 7.5 x 7.5 cm. From Nowhere IV, oil on canvas 60 x 180 cm. 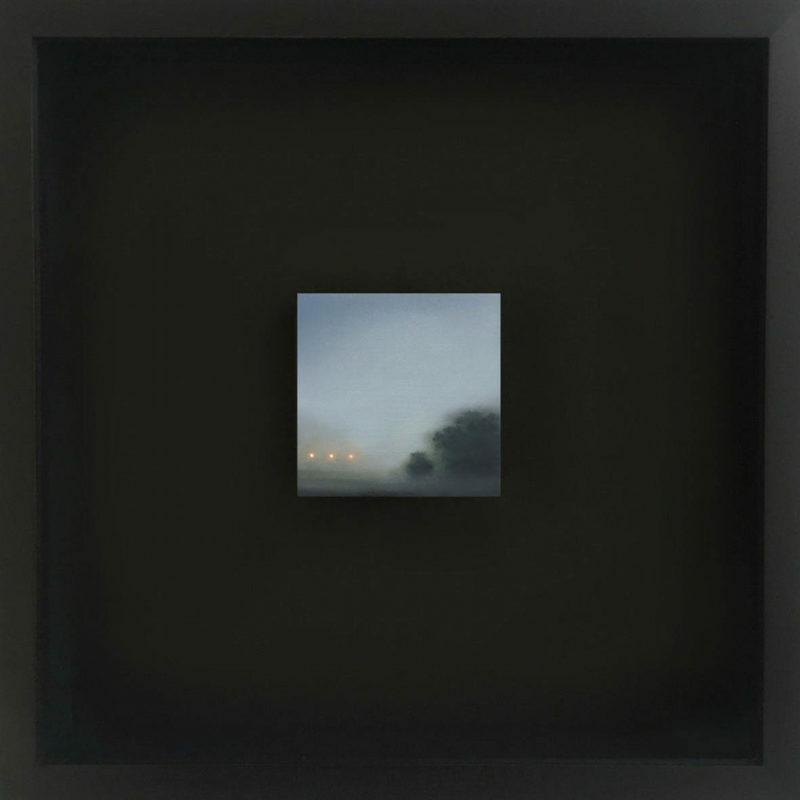 Miniature XLVIII, Oil on cast resin 7.5 x 7.5 cm. 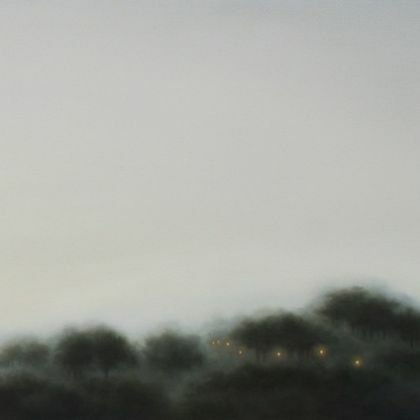 Gill Rocca is a London based artist recognised for her contemporary landscape paintings in oil. Born in Lancashire in 1971 she studied BA Fine Art at Leeds University and MA Fine Art at Winchester School of Art’s Studios in Barcelona. Since then she has exhibited regularly in solo and group shows in the UK and internationally, including a solo exhibition in Hong Kong in 2014 and representation in Australia and Canada. Her paintings have been selected for a number of curated exhibitions and art prizes in the UK including ‘Imagined Landscapes’ at RWA Bristol in 2016, the Threadneedle Prize, NOA and The Discerning Eye and are held in private collections worldwide. ‘My body of work primarily revolves around the representation of imagined landscapes. 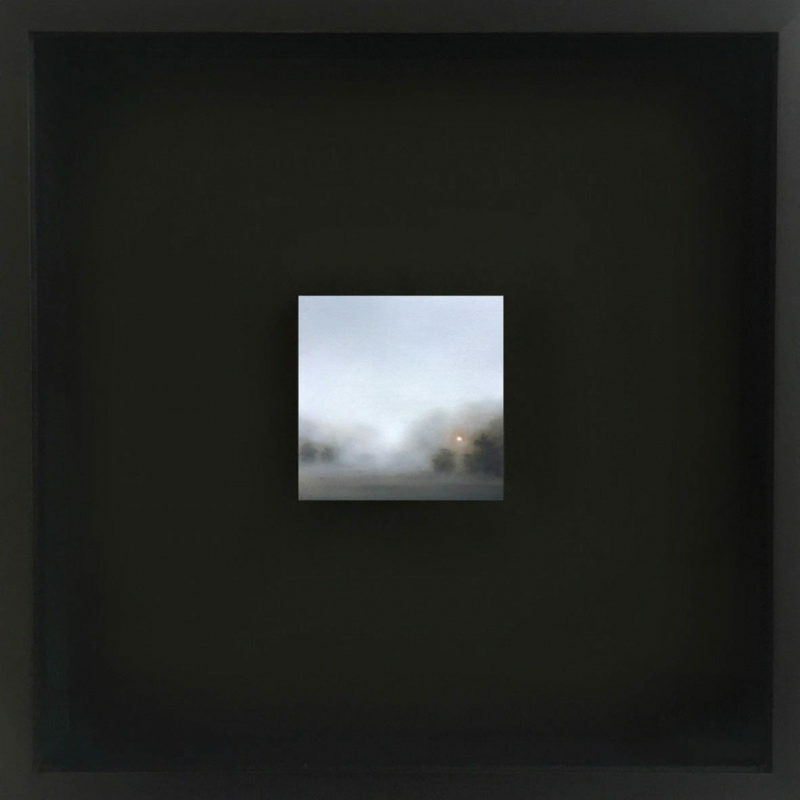 Executed in oil, the works vary in scale from intimate miniatures on resin and wood to large scale paintings on canvas.